An uplifting course, ART is a beautiful course that enables you to familiarise yourself with the energy of the Usui master symbol. You should leave a minimum of 6 months between reiki 2nd degree and ART as this will enable you to start working on yourself with the 2nd degree tools and energies and you will then be ready to take on the master energies of Advanced Reiki Training. ART is also known as the ‘Master Practitioner’ level, as during this course you start working with the Usui master symbol. This is the perfect step for people who do not wish to teach reiki or who want to give themselves a bit more time on their journey to full master teacher. 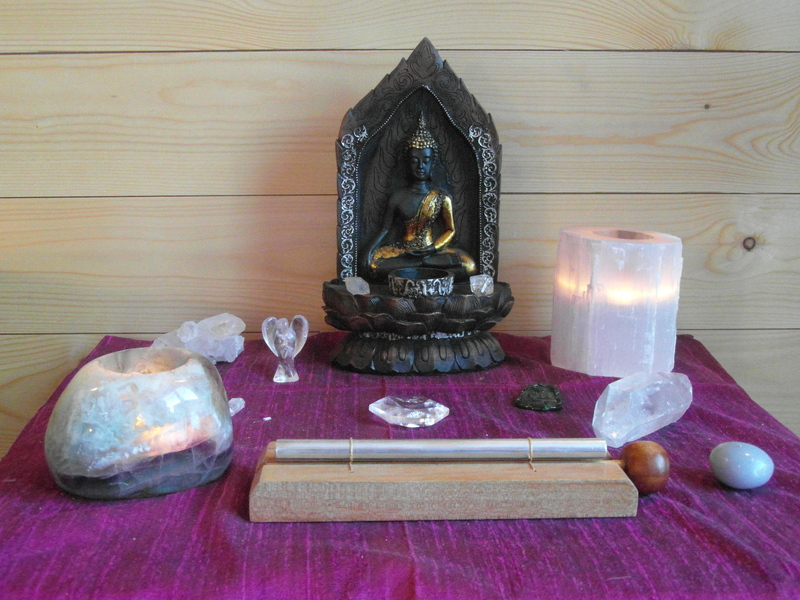 Over the two days we will use a number of healing modalities (such as Crystals and Essences) in conjunction with Meditations to help you on your healing journey. Study material is sent to you prior to the course to enable you to familiarise yourself with all the aspect that will be covered, so that you can truly immerse yourself in and enjoy the energy you are receiving over the two days. This course is unique in that it brings a number of techniques from different backgrounds which you can use for your own development. other guided meditations which I have developed over time. and Meditations of the level. -On completion of your course you will be given your Advanced Reiki Training certificate, and an opportunity to partake in regular reiki shares. I would also always encourage students to be in touch in order to answer any questions that may come up after your course. Emails are always welcome. Prior to booking a course you can get in touch to discuss any of the aspects of the course or my own training. If you want to meet up before booking to the course, I will very happily arrange this. The full course fee is £245, you pay £90 on booking and £155 before the start of the course. You can check the ‘reiki course dates’ page or you can get in touch to arrange another date.